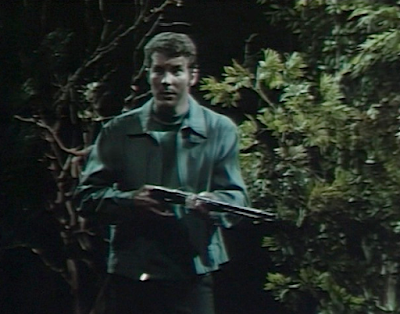 Joe Haskell searches the woods for Adam. 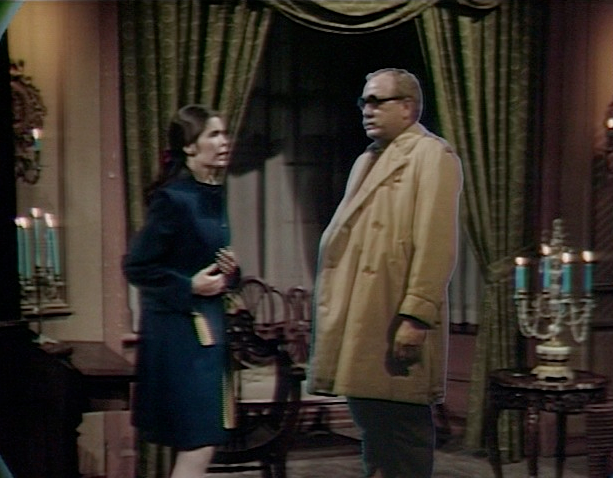 Vicki comes to the old house to see Barnabas. 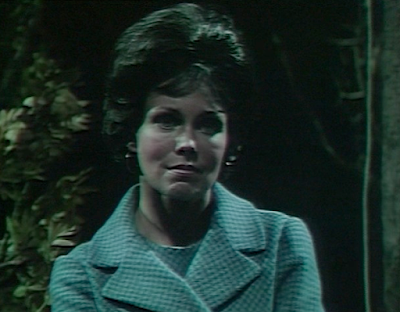 She explains she's been staying at Maggie's, as Professor Stokes says she's in danger if she stays at Collinwood. He fears she'll have the dream now that Cassandra's back. 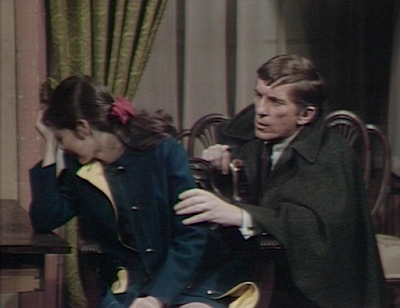 Barnabas is shocked to hear Cassandra has returned. 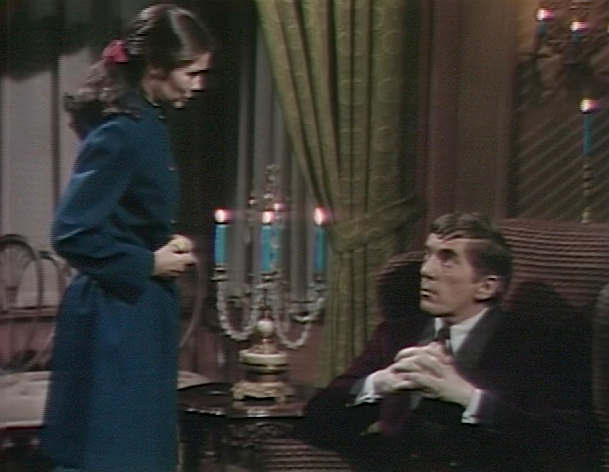 Vicki is sure Cassandra is Angelique, and Barnabas agrees. She doesn't understand why Angelique wants to harm Barnabas, and he says he doesn't either. She asks if it's because of her namesake, and he says perhaps. He says she'll be safe at Maggie's, and Vicki explains that she wasn't. She describes Maggie encountering Angelique's ghost, trying to induce the dream. She says she's thought of going hundreds of miles away, but she can't leave Jeff. 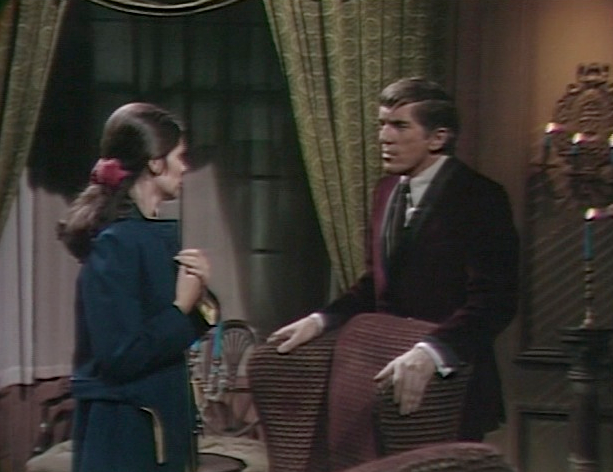 Barnabas says he understands how she feels about Jeff, and he's trying to accept it. Adam wanders through the woods, and as he approaches the old house, he thinks about killing Barnabas. 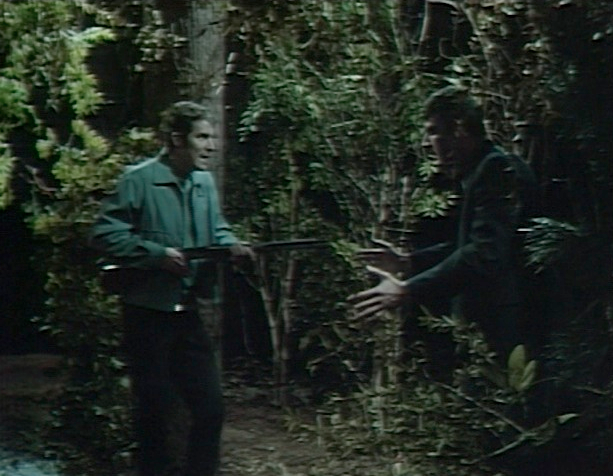 Joe continues his hunt for Adam in the woods. 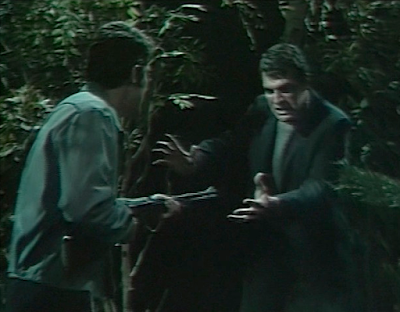 He spots him and warns him that he'll shoot if he moves. He says he's not going to hurt Adam, but he is going to take him to the police. Adam says the police hurt Adam, and he's afraid. Joe tells him that's too bad. He won't let him get away after what he did to Sam. Adam says Sam is his friend. Joe explains that he's dead, and Adam realized he hurt Sam. Adam tells Joe he wants the gun. 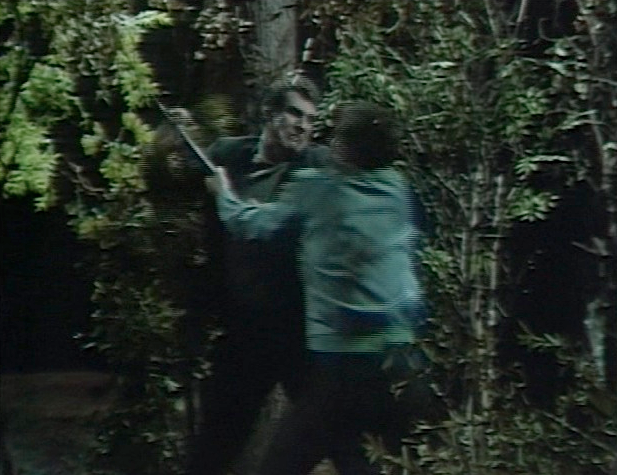 Joe threatens him, but Adam grabs the gun and knocks Joe out. Vicki tells Barnabas that she's going to go far away. He asks her about Jeff, and she says she'll try to explain to him. Barnabas says she can't let that happen, when they hear gunshots outside. He goes out to investigate. 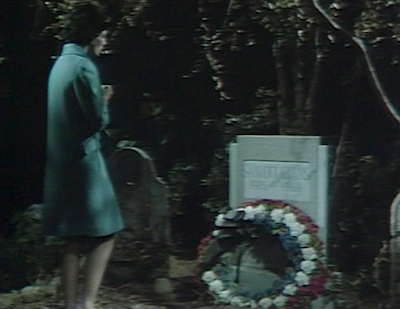 Cassandra is in the cemetery, at Sam Evans's grave. She calls for him to rise from his grave and appear to her. Sam appears in his trenchcoat and glasses, and asks why she has disturbed his rest. She tells him to go to Vicki and tell her the dream, or he will never rest in peace. He tells her that her powers do not extend that far, but he realizes he cannot return to his grave. She reiterates that he must obey her. She commands him to tell Vicki the dream, and he disappears. She is confident the dream curse will continue, and Barnabas will meet the fate she has planned for him. Sam's ghost appears before Vicki. He says he was sent to tell her the dream. She asks if Cassandra has sent him, and he says yes. He confirms that she is Angelique, the witch. 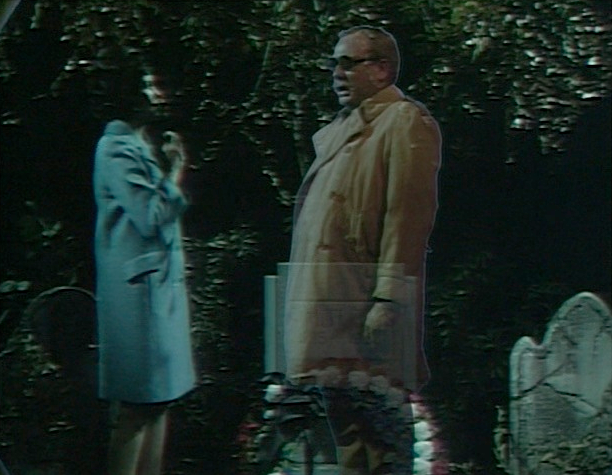 He says he must obey her if he is to return to his grave. 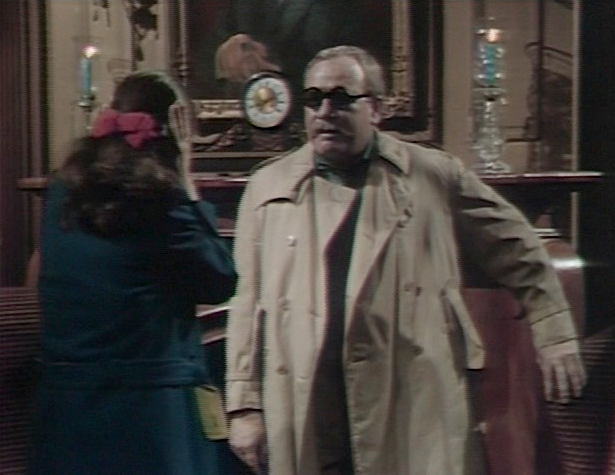 She says if she has it, Barnabas may die. Sam says that for Barnabas, death may be a blessing. He begins to tell her the dream, and she tries not to listen to him. He describes the knocks on the door, and what subsequently will happen in the dream. Barnabas searches the woods. He comes across Cassandra. He asks why she came back, and she tells him it's her home. He thought she had decided to leave him alone, and she denies understanding what he's referring to. He tells Angelique to leave Vicki alone, and she says she's not who he thinks she is. She tells him they should try to avoid each other in the future. 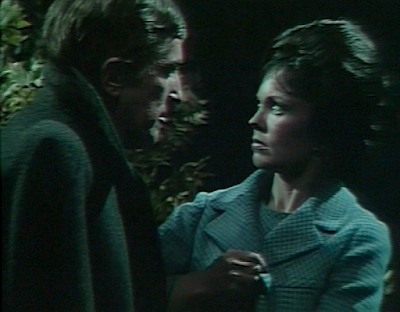 Barnabas leaves her, and she thinks that when she first saw him, she thought the love she once felt was returning. She realizes she needs to concentrate on vengeance. 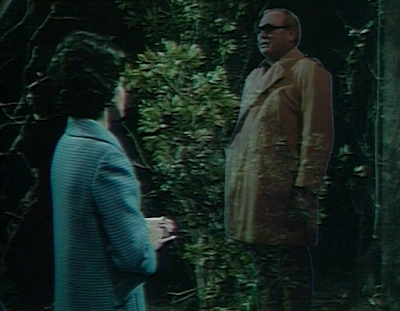 Sam tells Vicki about seeing Maggie mourning his death behind the third door in the dream. 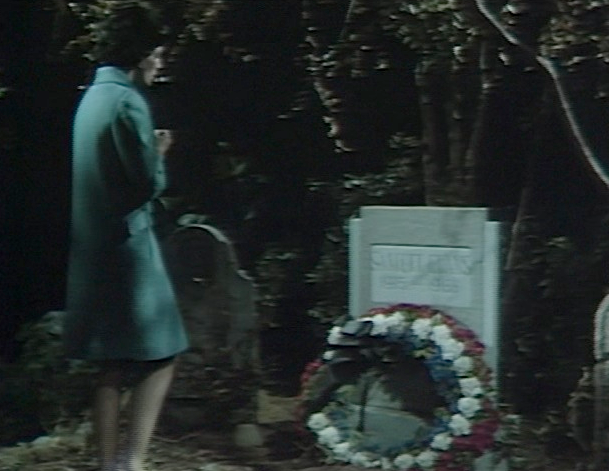 Vicki hears Barnabas come in, and Sam's ghost disappears. 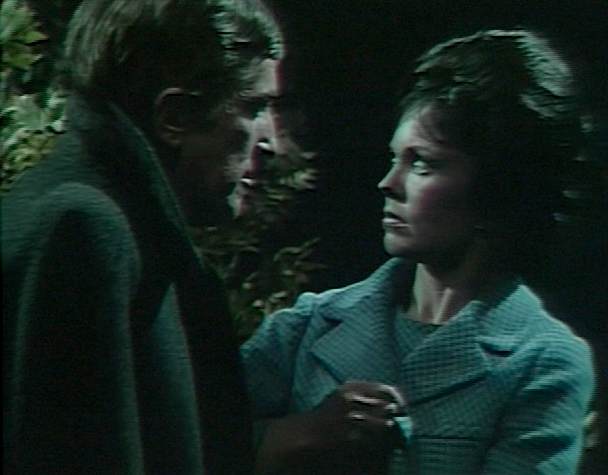 She tells Barnabas that Sam's ghost told her the dream. He says Cassandra caused it to happen. He just saw her in the woods. Vicki says once she has the dream, she'll be compelled to tell it to him, after which he'll die. He tells her not to be frightened. He says Stokes may be able to prevent the dream curse from continuing. Vicki says she has to get away from him. She says she's tempted to tell him the dream right now. She runs out of the old house, and Barnabas follows her. Cassandra calls for the spirit of Sam to appear. His ghost appears, and confirms that he did as she commanded. He asks her to allow him to return to his grave, and she does. She is thrilled that the curse has resumed, and Barnabas will be brought to his fate by the woman he loves. 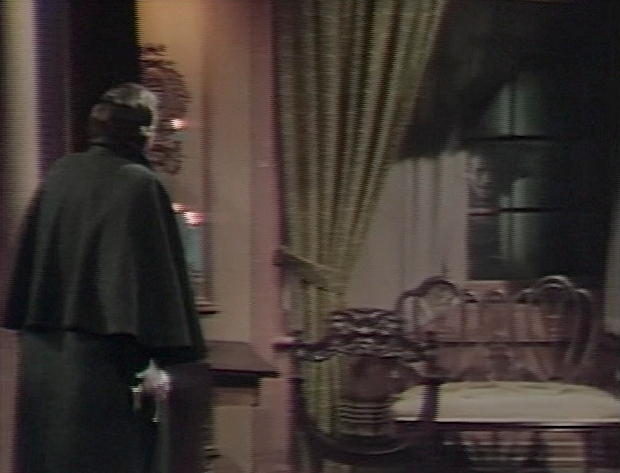 Barnabas returns to the old house alone. He calls for Willie, and opens a closet door, from which Joe Haskell's body falls out. He hears someone laughing, and turns to see Adam in the window. Christine: Angelique said she felt "a stirring" of love after seeing Barnabas again. If he knew that, he'd be downing all the dream potions he could get his hands on, after he told her she could do whatever she wanted with him if she'd leave Vicki alone. Poor Angelique may be the most accursed person on the show, since she is possessed by her all consuming love for Barnabas. John: Again, what's keeping Jeff from running off with Vicki? 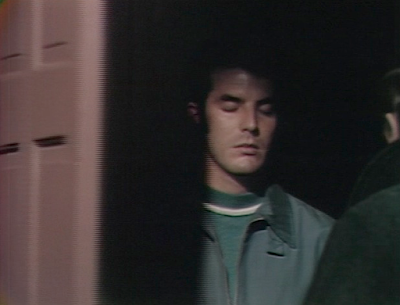 Unless Cassandra has a spell keeping him in Collinsport, I think he'd be perfectly happy to skip town with Vicki, and never return. Christine: Jeff can't run off with Vicki because he's nowhere to be found. 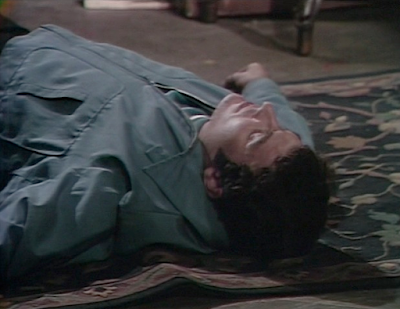 How can Vicki be tempted to tell the dream to Barnabas when she hasn't had it yet? 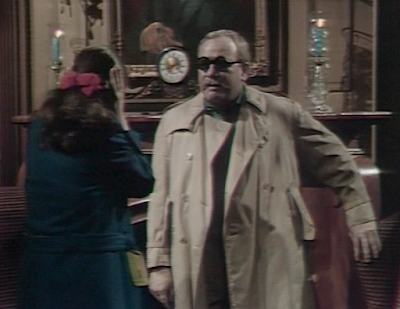 John: So are we to believe Sam was buried in his trenchcoat and Mr. Magoo blind man glasses? Christine: It certainly looks that way. 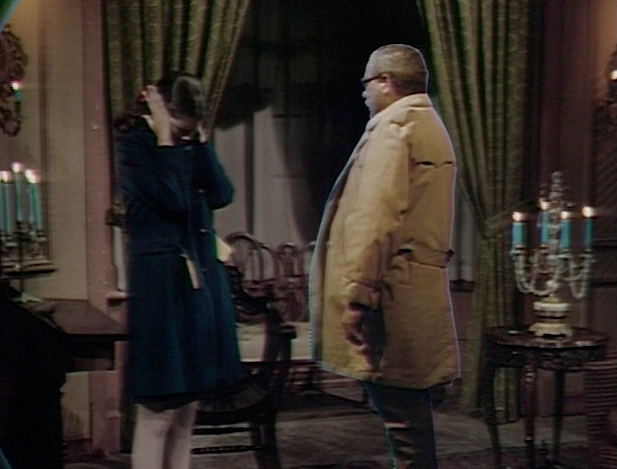 He really looms large as a ghost, and it's funny the way he makes himself comfortable, sitting down to chat with Vicki in the Old House. Today was David Ford's last appearance. 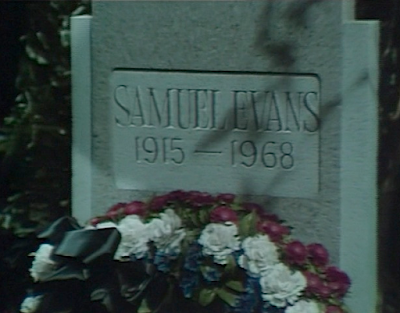 Rest in Peace, Sam Evans.